While you may be familiar with a learning management system (LMS), you may be wondering why you should invest in blended learning using a learning management system. Will the investment provide your organisation with any benefits? A closer look at LMS will show that it has many advantages to offer when used for blended learning. If you’re not convinced that a learning management system is right for your organisation, here is a look at some of the main benefits these systems have to offer both employee and management. One of the main benefits of leveraging a learning management system for blended learning is the system’s ability to provide employees with motivating, engaging training. It’s often difficult for Management to find training programs that both motivate and engage employees. After all, employees learn in various ways. LMS allows Management to offer training programs that provide various approaches, including mobile learning, online learning and face-to-face learning. Blended learning programs that are carried out with LMS allows you to blend online learning and classroom sessions for a more effective approach. Management will find it easier to keep the training process streamlined when using blended learning via LMS. This makes it easy to plan a calendar of training activities, scheduling and running both online and offline training according to the schedule. With LMS, it’s possible to assess training programs, generate helpful reports and track employee progress over time. Streamlining the training process also provides savings in time and money. When using LMS, you’ll find that it’s easy to keep learning data exchanges secure and easy. These systems have a robust server and a secure system, which makes it easy to store, share and upload various learning resources, including manuals, tests, documents and more. Another benefit of leveraging a learning management system for blended learning is the ability to reach out to more employees. No matter where employees are located, LMS makes it easy to reach those employees. 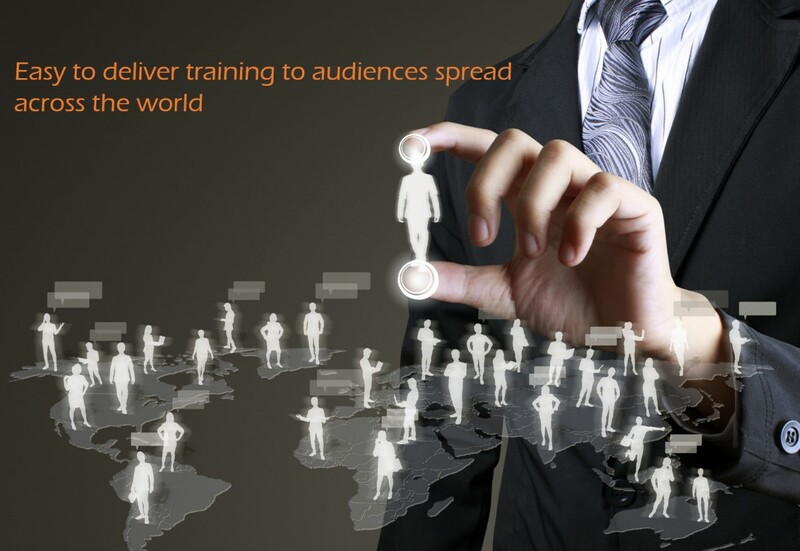 Virtual learning sessions and e-learning courses can be used instead of classroom programs, making it easy to deliver training to audiences spread across the world, yet the quality and consistency of the training will not be affected. 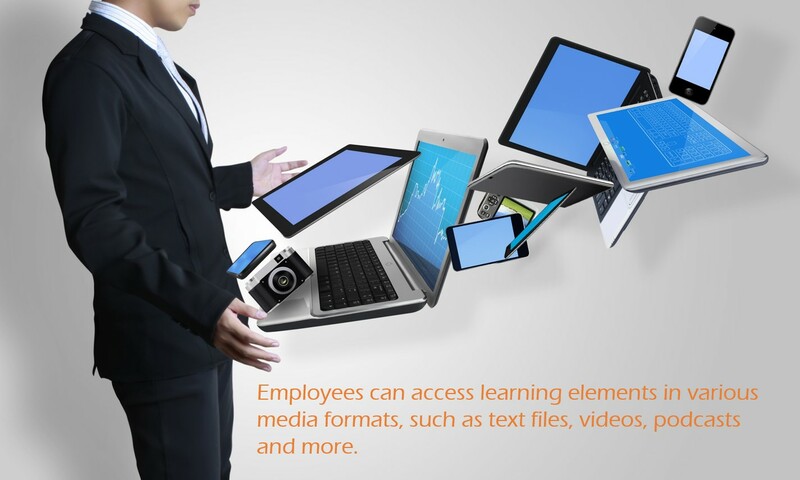 Of course, offering blended learning via LMS also offers benefits for employees. One of the exciting benefits employees will enjoy is the ability to learn via multiple media formats and learning channels. Instruction in a classroom is very limited, but blended learning provides offline and online channels of learning. This makes it easier for training programs to cater to different demands and needs. A learning management system for blended learning offers greater training flexibility, which encourages a continuous learning process that isn’t hindered by geographic or time restrictions. Employees can access training resources whenever they need to via chat rooms, wikis, blogs, forums and other online options. Using online training channels often improve interaction with instructors or trainers because it increases their approachability. Social learning and collaborative tools, along with online help, helps to facilitate greater levels of interaction between trainers and employees. With offline learning, missing a single learning session can prove devastating to employees, but blended learning via a learning management system helps to reduce problems with dependency. Even if a face-to-face session is missed, employees still have access to important learning resources online, reducing the dependency on a single source of information. In many cases, this also helps to encourage employees to learn at their own pace, which results in improved knowledge retention. Both Management and employees can enjoy some excellent advantages when leveraging a learning management system for blended learning. Consider all the benefits and decide if LMS is an excellent option for your organisation. Bhauvik Tripathi is the Founder and Managing Director of Synotive. With a deep passion for innovative technology solutions, he is the business growth specialist behind the digital transformation campaigns for Australian businesses across various sectors. 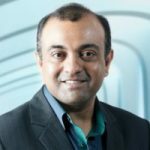 A software development guru and business architect, Bhauvik holds several degrees in Engineering and is also a Neuro-Linguistic Programming (NLP) Master Practitioner. Synotive Pty. Ltd. All Rights Reserved. Copyright © 2001 to 2016.